If ever the phrase ‘he doesn’t need an introduction’ fit an artist, surely that artist is Wiley. The grime scene originator has been grinding for well over a decade, and his versatile, virtuosic touch has taken grime from the pirate radios of the British capital to being heard on Hot 97 and around the world. ‘Godfather’ is his latest project, and it kicks off 2017 with a bang. The feature list is extensive, and the lyricism and production is at an insanely good level on here. With a huge introduction in the shape of ‘Birds N Bars’, a frantic, authentically grimey tune split into two parts, Wiley is clearly eager to stake his claim in the conversation for one of the most important albums of the year. With 2016 seeing Skepta and Kano achieve new heights, and bringing the grime scene with them, this year is sure to continue the trend. ‘Bring Them All / Holy Grime’ is an energetic, textured banger; Wiley and Movement lyricist Devlin go back to back over pounding drums, anthemic vocal samples and in-your-face synthesizers, and these two veterans show how to excel at 140 BPM. The vintage, glitchy grime sound is executed brilliantly on ‘Name Brand’. JME, Frisco and J2K feature on this one, and it’s a witty, unashamedly braggadocios banger. The flow, content and delivery is savage throughout, and ‘Speakerbox’ is a surefire standout, accompanied by a memorable, melodic hook from Eskiboy; Wiley’s musical talent is undeniable, and the screwface inducing verses are complex and ferocious from start to finish.The unique flow on ‘Back With A Banger’ is so heavy, and the staccato beat is reminiscent of the sounds of the early-mid 2000s; the ‘Godfather’ album does a great job of being fantastically current whilst remaining true to the original sound of the genre. ‘Joe Bloggs’ is exactly what you want from a 2017 Wiley track; Newham Generals and President T accompany the Bow veteran on the synthetic, pulsating beat, and the diverse styles of the assortment of MC’s makes it a definite highlight. The originators of the sound of the moment are fully represented on here; Flow Dan and Jamakabi kill their verses on the war-ready ‘Pattern Up Properly’, and Ghetts, one of the most consistent spitters in the game, destroys his segment on the insanely hyped and appropriately titled ‘Bang’. The features keep on coming with Chip, Ice Kid and Little Dee destroying the brutal, incredibly energetic ‘On This’, and the screwface-inducing beat makes this a surefire standout. 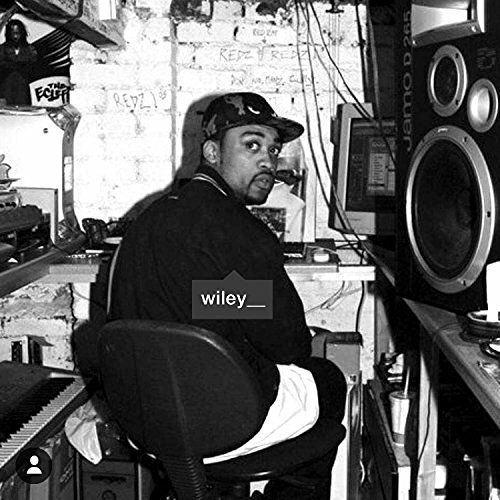 Longtime collaborator and fellow Roll Deep member Breeze also puts in a heavy appearance on the dope ‘Like It Or Not’, and one of the most respected MCs on the circuit P Money appears on the remix of Wiley’s track name-checking the OG’s lyricist, which serves as ‘Godfather’s finale. After 2016s second wave of spotlights being placed on grime, Wiley shows that this is by no means a young man’s game. The veterans and originators of the genre are still making some of the most important music being produced from British shores, and the raw energy, undeniable skill and driven, hard-hitting production from front to back make ‘Godfather’ a truly astonishing piece of work.